Jump to video How far will Huntsman's civility take him? Republican presidential hopeful, former House Speaker Newt Gingrich speaks at the Republican Leadership Conference in New Orleans, June 16. 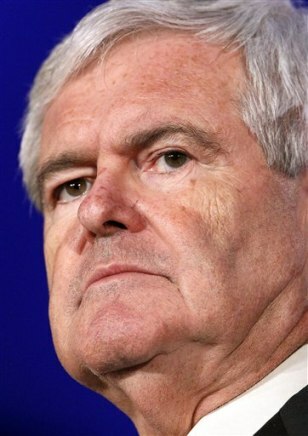 Gingrich's top two fundraising advisers resigned Tuesday, and officials said the Republican candidate's hobbling presidential campaign carried more than $1 million in debt.